Truss displays are built using steel or aluminum tubing. They have a modern, industrial feel that commands the viewer’s attention. 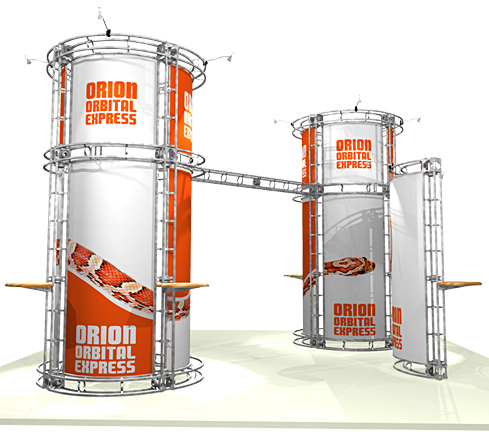 Truss displays are typically the most expensive of the mass produced trade show displays and will incur additional shipping costs due to their massive size.